Chairman of Pakistan Peoples Party, Bilawal Bhutto Zardari has said that the so-called political parties are unable to present a manifesto. According to the details, the chief of PPP reached out to the various districts of Sindh for an election campaign. 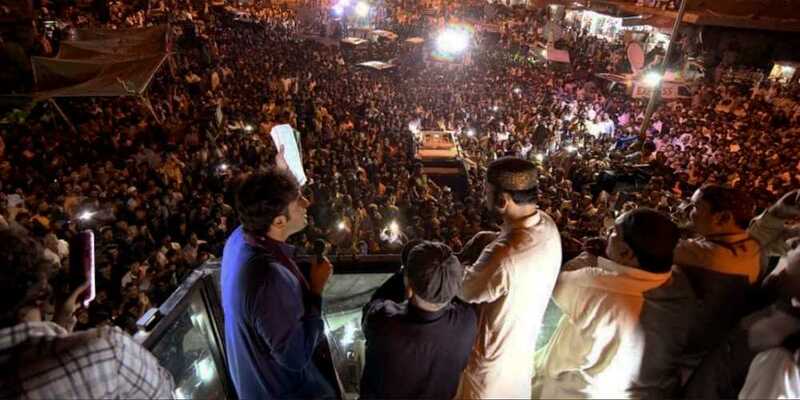 During his address at Hyderabad’s Fateh Chowk, Bilawal said that in order to change the fate of the country, he needs the support of his people. Bilawal in his speech further said that he promised his mother martyred Benazir Bhutto to save Pakistan. He requested the public should choose arrow on the day of general elections, July 25 and play their role in transforming the destiny of the country. Bilawal Bhutto Zardari further said that unlike PPP no other political party was able to present its manifesto. The PPP chairman urged the people to support him just like his mother Benazir and Zulfiqar Ali Bhutto Shaheed. Bilawal vowed to bring agricultural revolution and to provide loans via Benazir Card.